We would be pleased to welcome you from Monday to Friday at our bright, spacious and modern facilities at our head office in Saarbrücken city centre. There is ample parking nearby, e.g. the Parkhaus Congresshalle multi-storey car park. In addition to that there are two disabled parking spots directly in front of our building. 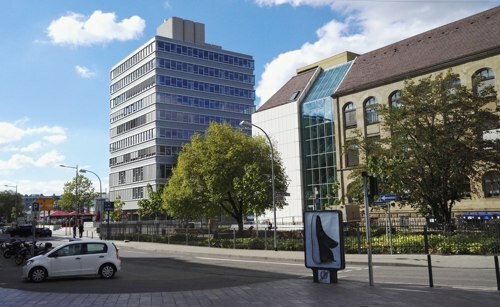 If you are coming by bus or train our institute is just 400 metres on foot from Saarbrücken main station. Combine your visit to us with a stroll through the city of Saarbrücken. The extremely central location of our institute is the ideal starting point for a shopping spree through Bahnhofstrasse, Saarbrücken’s main shopping area or for visiting the new Europagalerie. Or you can go for a walk along the revamped Saar riverside promenade, which is only 100 metres away, or the Bürgerpark. You are also well catered for culinarily thanks to the wide range of gastronomic establishments in the area.